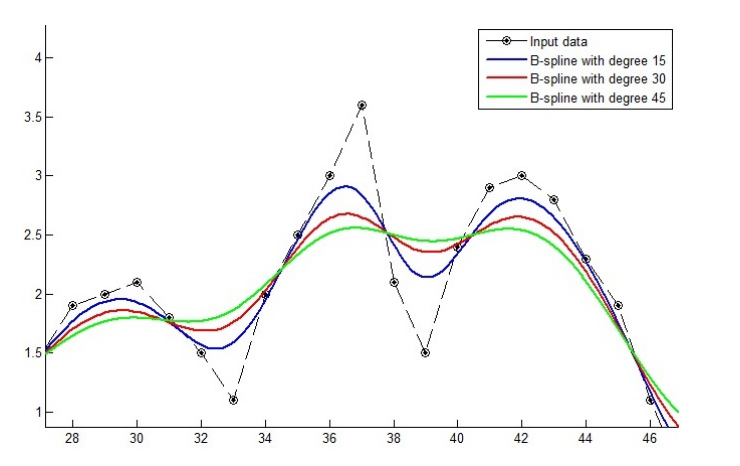 Smooth motion parameters using cubic spline or b-spline. I have been able to calculate affine transform. But I am stuck at smoothing motion parameters. I have been unable to evaluate spline function to smooth the three parameters. Any suggestion or help as to how can I code to get a desired result as shown in the graph? Hi, did you get the result? If you got it, please help me to do it. I also stuck at this. Thank you so much.